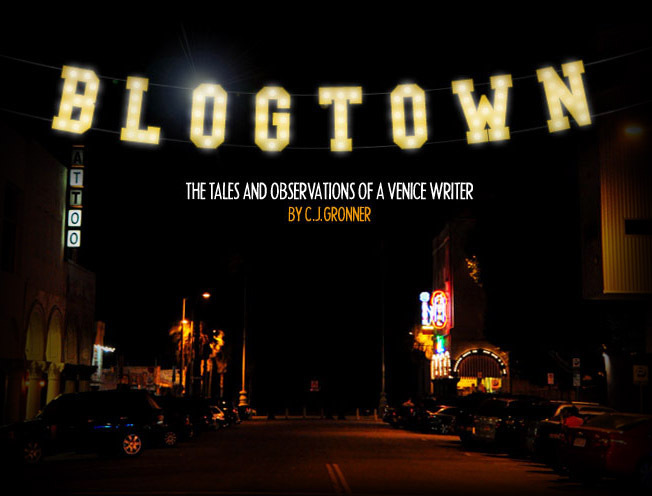 Blogtown: The First Flower Fest Fun - Flower Power! 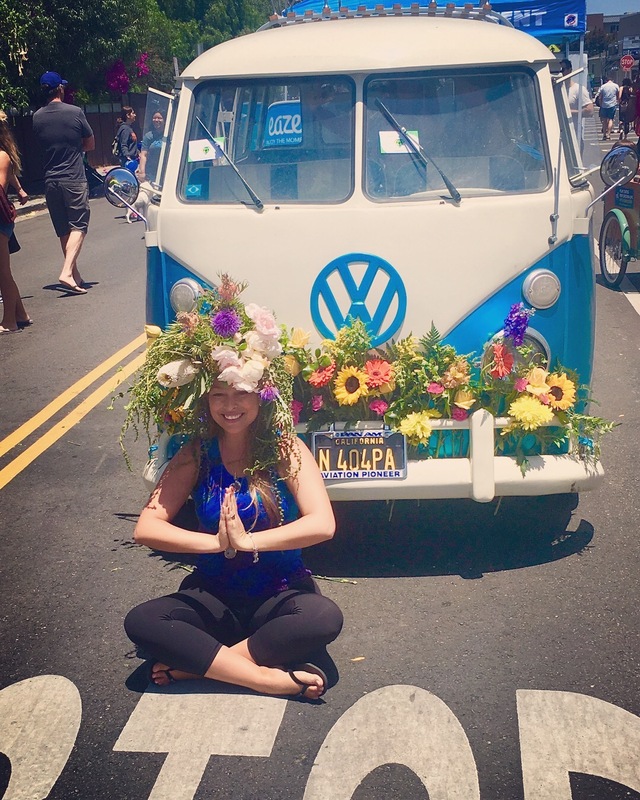 The First Flower Fest Fun - Flower Power! 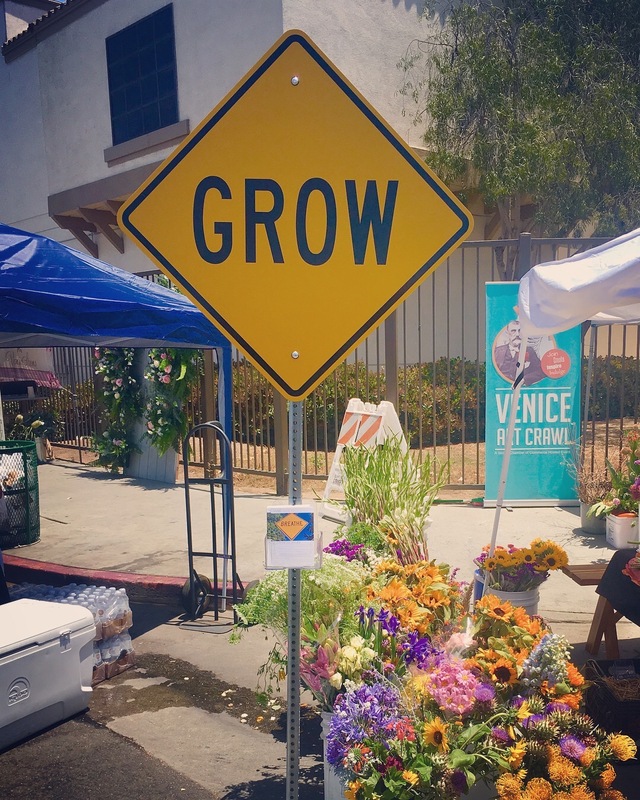 Flower Fest kicked off its first incarnation on a beautiful Saturday on Rose Avenue in Venice. 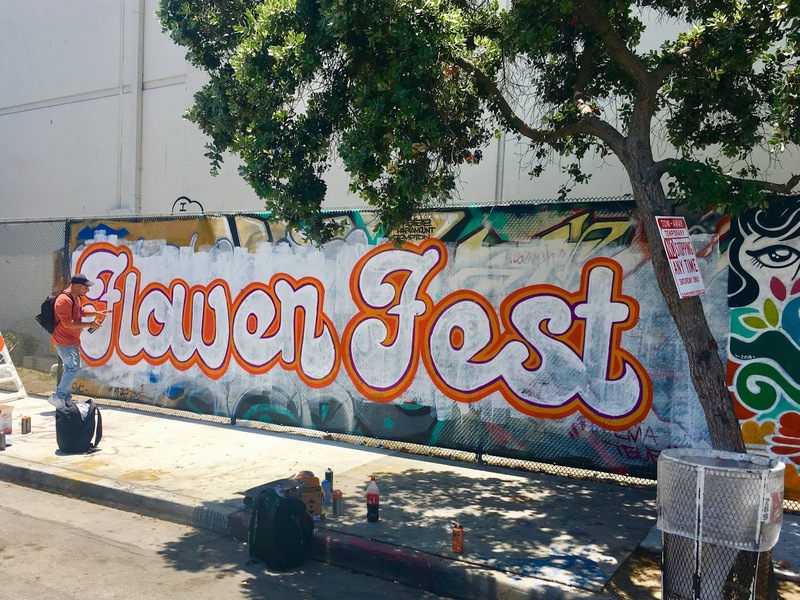 Flower Fest is a brand new festival put on by the Venice Chamber of Commerce and the Venice Art Crawl folks (and some weed companies for good measure, though real Venice supports the o.g. 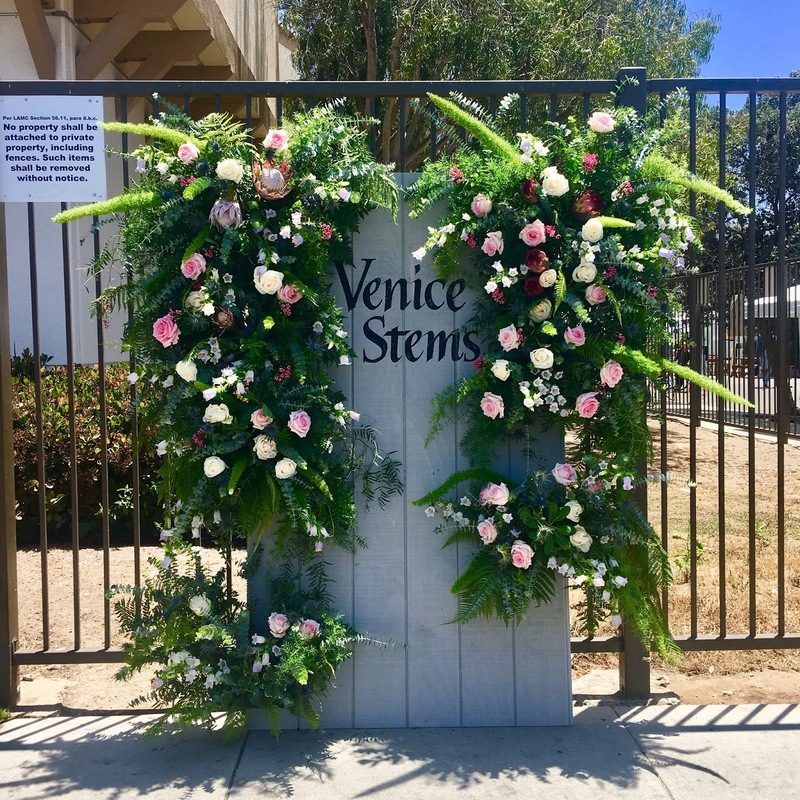 longtime local medicine providers), with a fun way of showing off some of the best that Venice has to offer. It was billed as "A Taste Of Venice", so there were a lot of food booths. Local restaurants set up little outposts of their brick and mortar locations, and there was pretty much anything you wanted, from Italian to Asian, from Casa Linda to Great White. You didn't really get the flower vibe until you passed through all of the restaurant tents, but then there was booth after booth of lovely blooms of all kinds. You could get flower crowns custom made, you could get them braided right into your hair ... and you could stop traffic with your giant handmade headdress, just like the groovy old hippie days in Venice. 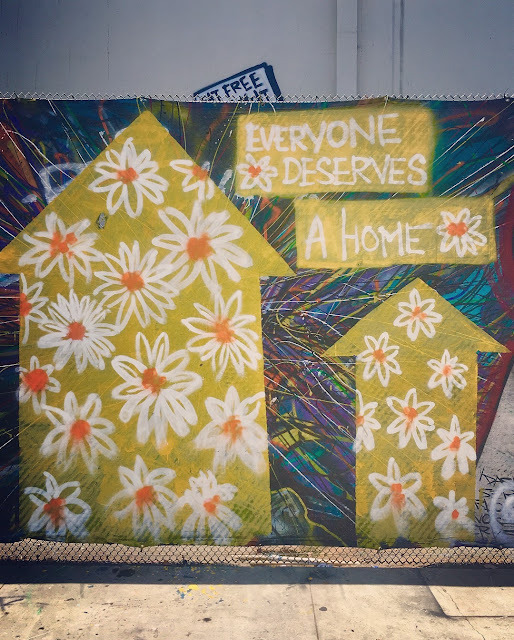 As it was a collab with the Art Crawl, there was also plenty of art on hand. Artists were live painting murals up and down the blocks, featuring flowers mostly, but also messages of absolute truth. One of my favorite local artists, Beckett, was also on hand doing some live painting on a canvas set up for kids to go to town on, and his rainbow was my favorite piece I saw all day (and I don't think I was alone in that, as several bystanders stopped to photograph this little boy happily painting away, while taking it very seriously). Teach the children well! 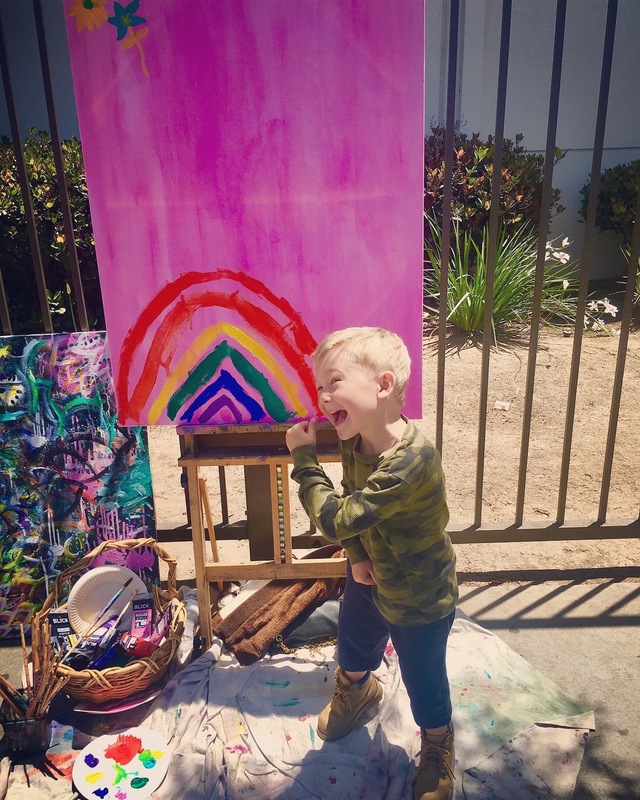 Beckett also started his own art collection, finding a piece he couldn't live without from artist Todd Goodman. 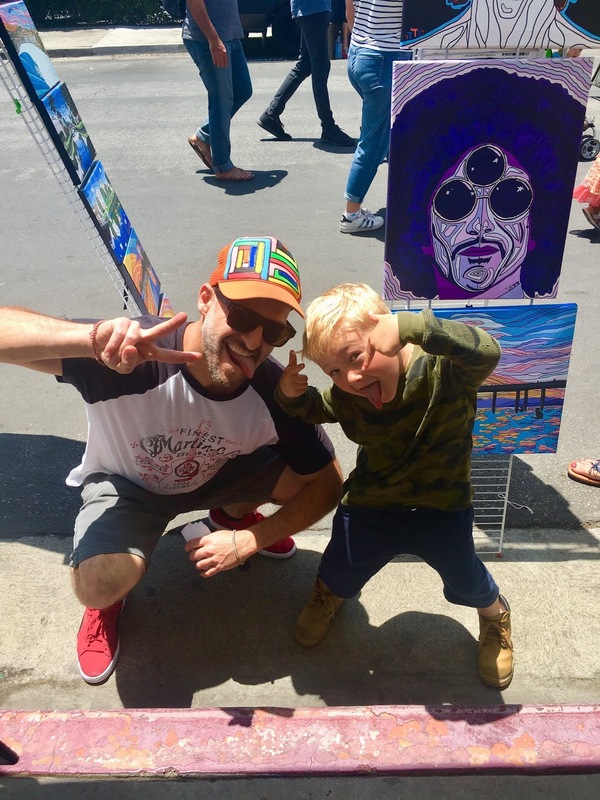 The two creatives took time out to pose together, in a summit meeting of two important Venice painters. Awesome. 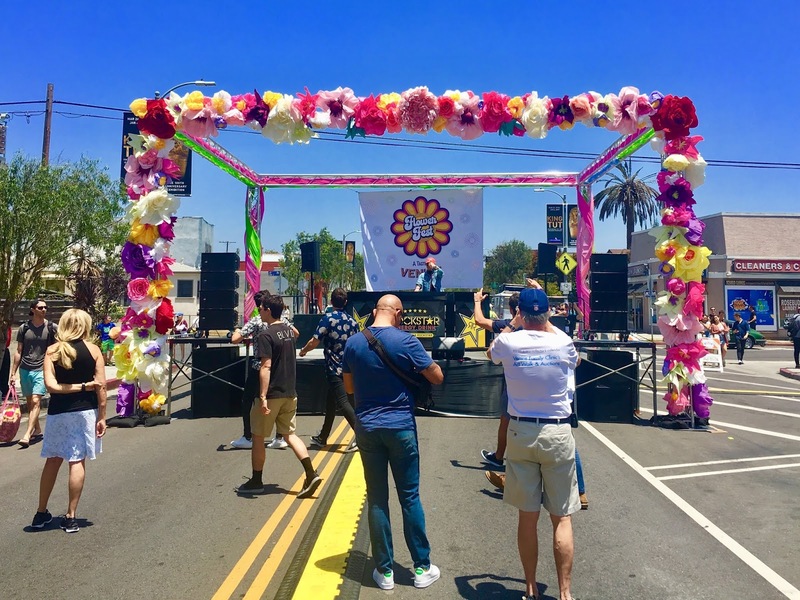 A stage was set up at the closer to Lincoln end of Rose, festooned with paper flowers and blasting terrible music - at least when we were there. Anxiety-inducing beats were being spun by some D.J. that didn't really know his family audience in the early afternoon, but I heard it got more awesome as the day progressed. 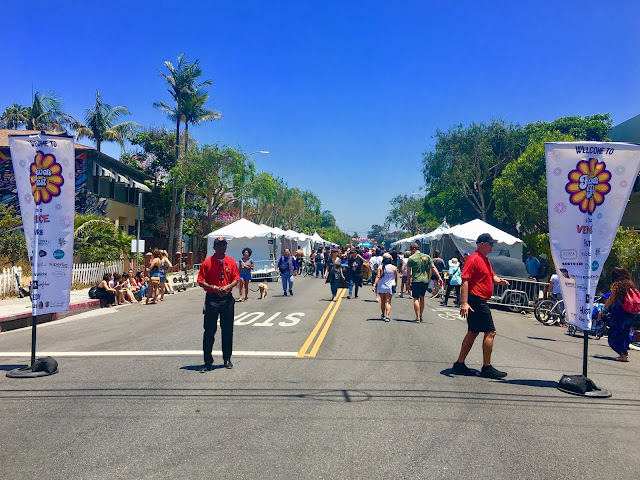 It culminated in a performance by Phantogram there in the street on Rose, that I was bummed to have to miss, but heard was great. I say the more Festivals the merrier, and you really can't go wrong in Venice with food, flowers, art, and music. All the things we love. Plus, a reminder that one of the most important aspects of life is to GROW. It was a little under-attended, possibly because not very many people I talked to had known about it ... it was more a delightful surprise they stumbled on to out on a Saturday bike ride or stroll. 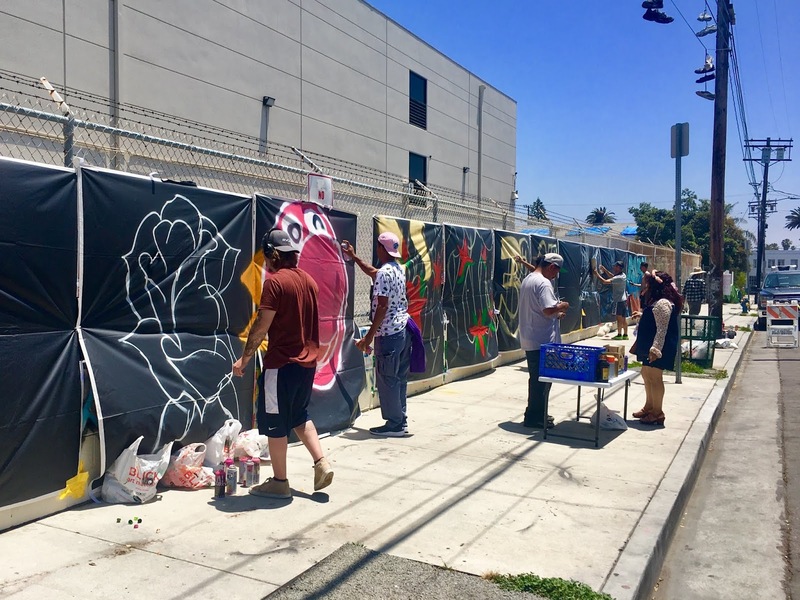 Congratulations to everyone on another cool thing to do in Venice ... may it grow!!! Venice Pride 2018 - Rave Un2 The Joy Fantastic!